Please note: The AutoPi always needs power through the OBD connector, to function properly. Powering the board through the micro usb power plug on the Raspberry Pi could damage your board. If you need to test the AutoPi in a lab environment, we encourage you to get the OBD power connector from the shop. 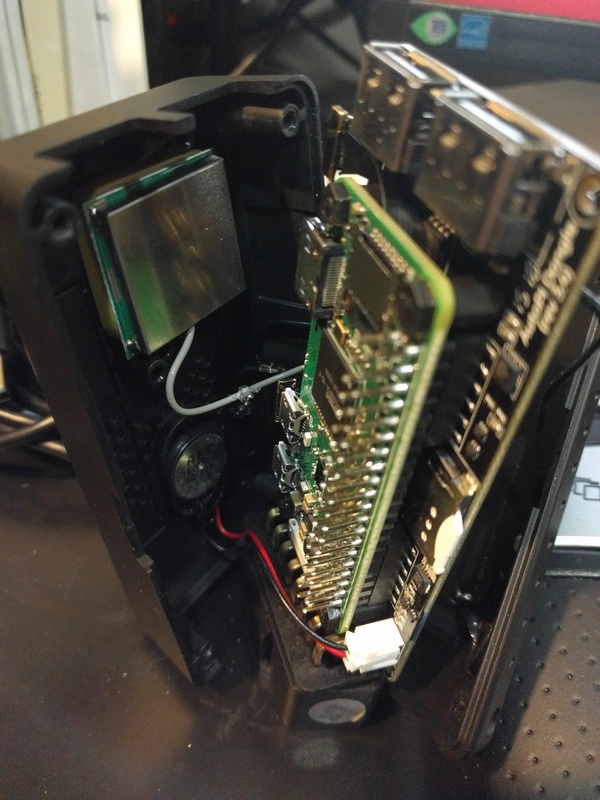 2) Remove the Raspberry Pi Zero from the AutoPi dongle, leaving only the black AutoPi base board. 4) Hereafter, insert 4 screws downward the four inner holes on your RPi3 adapter, and screw them closed with 4 nuts. Make sure the screws are faced downwards in the four inner holes. Put on the nuts and tighten the screws in place by rotating them clockwise. 5) Then, push down your RPi3 adapter unto the RPi3 (where the left side black box will fit the headerpins on the RPi3). 6) After you have securely and safely attached the adapter to the RPi3, use 4 nuts to tighten the screws in place. 7) Hereafter, align your dongle correctly so the headpins of the adapter fits with the black box of the dongle and push them gently, but firmly unto each other. If you have another micro USB to USB cable, you can also use that. Anyone will work. This ID needs to be accepted by AutoPi. So you need to send the correct ID to support@autopi.io, so that it can be accepted by our servers. The final result should look something similar to this. How do you suggest we handle the items that are connected to the dongle case? Will you be offering for sale a new case at some time in the future that will house the dongle, adapter, and RPi3? If not, a link to a 3D printable design would be brilliant. We aren’t currently planning on designing a casing for the RPI3, as this is considered a DIY solution when using the RPI3, and also because we doubt that we can design a casing for it that will fit all needs regarding mounting, which antennas people want to use etc. We are also a bit hesitant regarding deciding which antennas to use, when doing it the DIY way, as you may want to use an external antenna mounted somewhere else. The dongle has pretty limited space regarding antennas and plugs etc, but when using with an RPI3, you should have freedom to use whatever antennas you want, like installing a UFL to SMA converter and then using an external antenna etc. With that said, we are considering making an “antenna pack” with a set of antennas for use when you want to mount it in a different way. 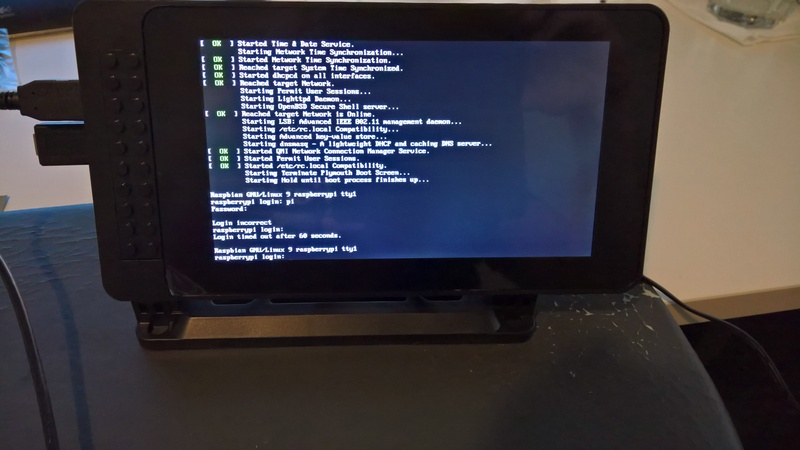 Hi, So I have used the info here and the info from https://www.autopi.io/blog/build-a-raspberry-pi-touch-screen-car-computer/ to swap the Zero to RPI3 B+ . My auto-pi in factory delivery setup and config stopped sending any data when I Went from Finland to Sweden, first I figured it was just the 4G connection that was having some issues, but when coming back to Finland it did not re-initiate the connection either. When I log on to the auto-pi I get the info “Connected to a local device, but local API not yet ready. Please wait…” That state does not go away. This HW swap seems to have worked fine, what I was not expecting (when looking at the instructions here) was to get a SSH login prompt that I dont know the /user/password for. So without knowing the User/password I am now stuck not able to login to the auto-pi and get some more debugging info as I also can not get the auto-pi WIFi gateway to get past the “not yet ready” stage. So any help with this would be great, also here are a few images of the setup. After 8 hard reboots (Power Off/On) I got the WiFI Gateway to log on. But when I try the command “grains.get id” I get “An error occurred. Received Unknown Error from server.”. So how do I get in to the SSH prompt or is there any other command I should be using ? Or is the reported “Unit ID” on the local web-service the same ID that I should report ? I’ve send you a PM on how to SSH into the device. We dont publish that because it contains passwords. My best guess to why the grains.get did not work, is because your device isn’t online. But you can check that with the SSH login. 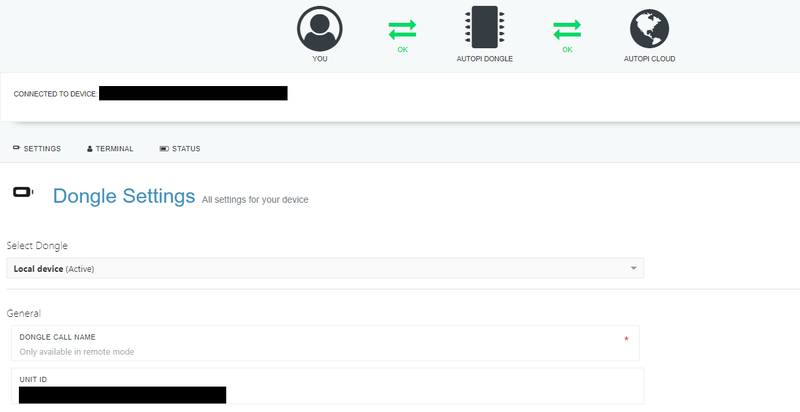 But I will try to debug the connection when I get home today, I also requested the device ID change from your support but that also requires the device to be online so guessing its a catch 22 . In case i fumble something up beyond repair, are there any instructions on how to restore the memory card to a “factory setup” ? 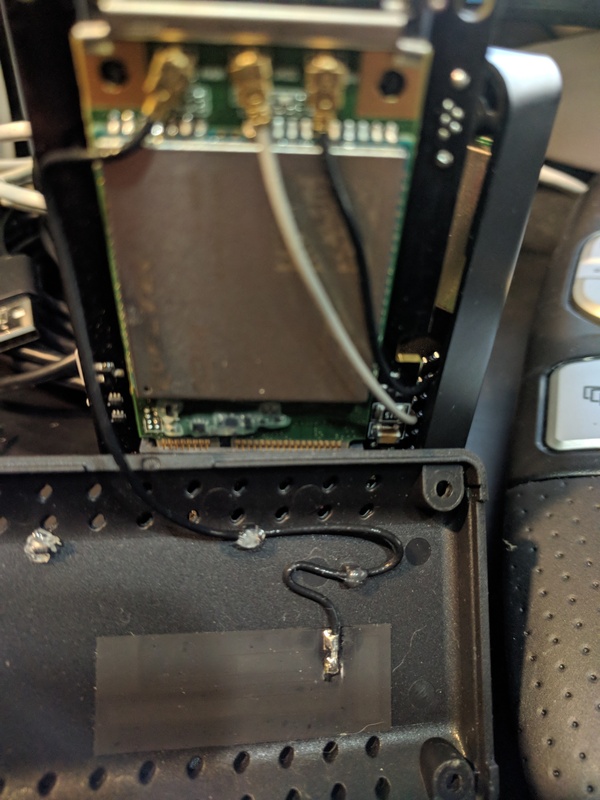 Since my original HW setup also did not re-connect to the service after my trip to Sweden I am assuming I might have gone from the frying-pan in to the fire when I swapped the hardware from the original Zero to the RPI3 B+ without finding the original cause of the outage. ACTION=="add", SUBSYSTEM=="usb", DRIVER=="usb", KERNELS=="1-1.3", RUN+="/bin/sh -c 'echo 1 > /sys/bus/usb/devices/1-1.3/bConfigurationValue'"
Where you need to change the device to the one you are using, I’m guessing it has to something like 1-1.1.3.3 instead. Bus 001 Device 009: ID 0424:7800 Standard Microsystems Corp.
Hi, I had some issues getting the LTE modem to connect at first try yes. But it was more an config issue with the sim card then an issue with the modem. I had to take the sim card out and reset the pin code to factory settings and then disable the sim card pin check on the card (using a usb sim card modem) before adding it back in to the RPI, for some reason the RPI would not handle the sim pin code check when I set the config in the AutoPi Web UI so I simply disabled the sim pin requirement. It might have been an issue with the early software version I had at the start but since I don’t need the added security layer for now I have not re-enabled the sim pin check requirement on the sim card. Did it work when you got the device before modification to RPI3 ? Did you re-check that the connections are not somehow loose somewhere? Can you provide some image of the connections, so we can have some more info on the current HW config? Very helpful guide. I am online with WiFi only, but plan to add the 4g modem in the near future. Clarification: is the Dashboard GUI available to install for DIY RPi 3? Add ons are not available when I log in to my.autopi.io, and I was hoping to use a touchscreen dashboard. Essentially, I need to install packages for my image to be able to display the desktop. Then open a web browser, and log into my.autopi.io. You can also open the local dashboard, on local.autopi.io. You can expand this dashboard on your own, if the included functionality isn’t enough for you.